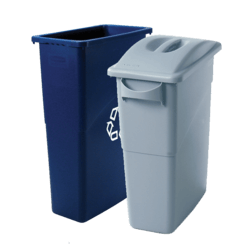 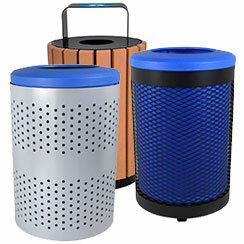 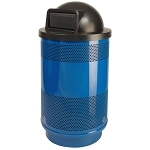 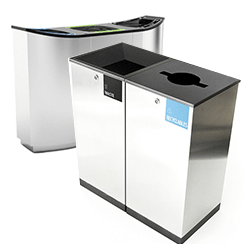 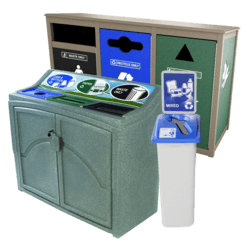 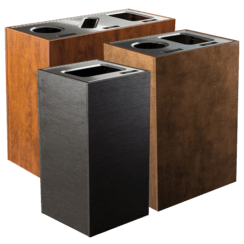 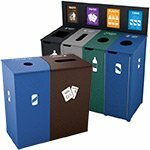 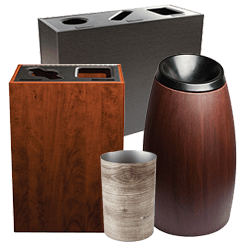 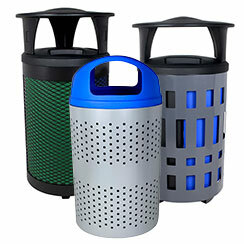 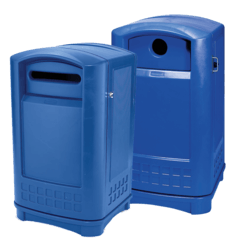 The Stadium Series is one of the most durable and innovative lines of indoor and outdoor waste and recycling receptacles. 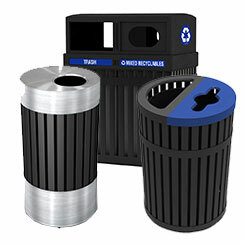 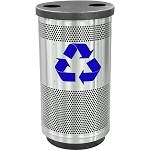 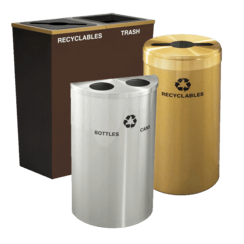 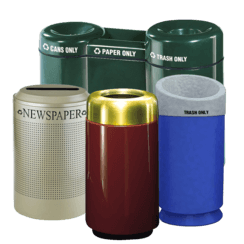 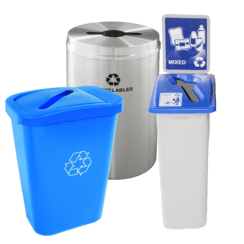 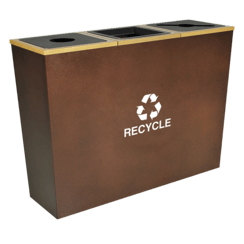 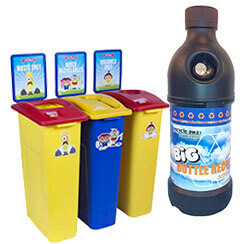 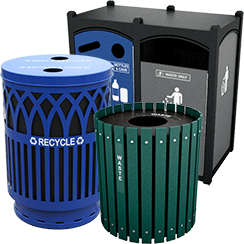 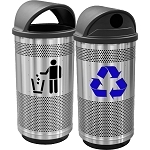 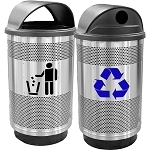 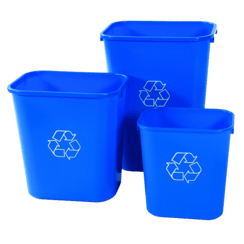 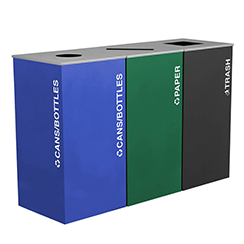 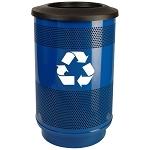 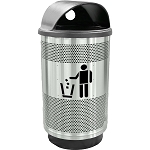 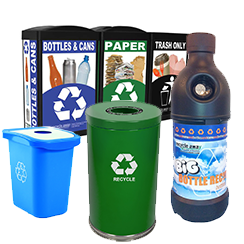 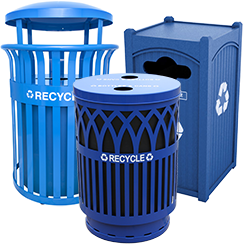 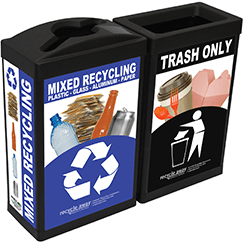 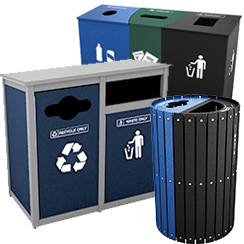 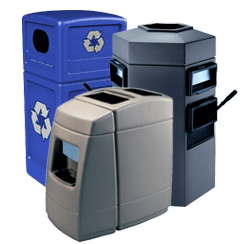 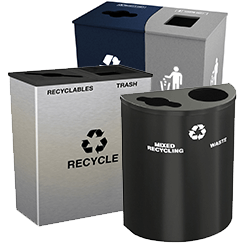 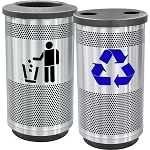 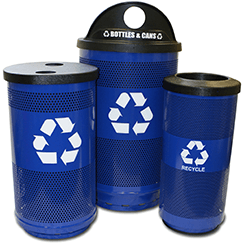 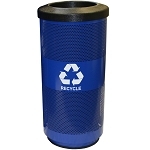 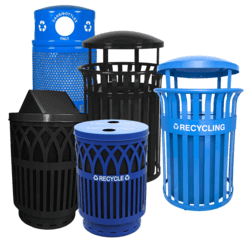 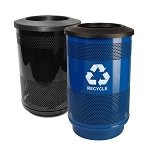 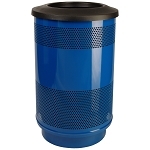 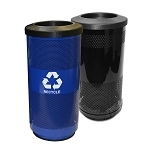 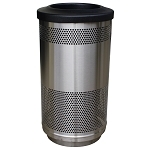 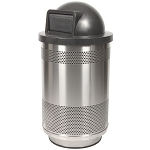 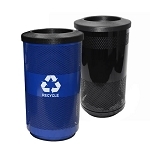 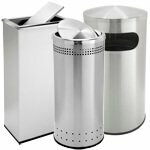 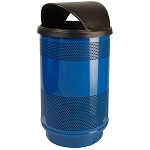 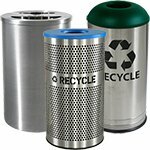 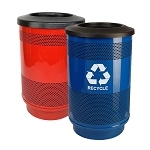 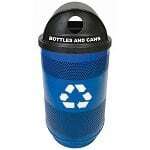 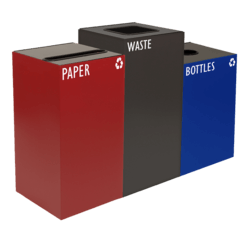 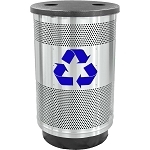 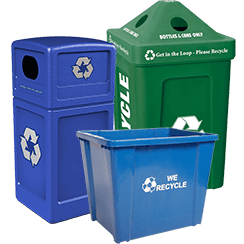 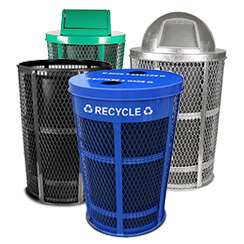 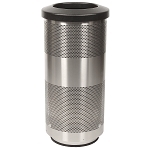 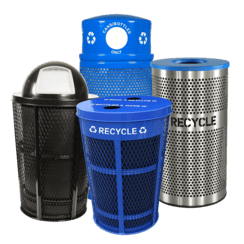 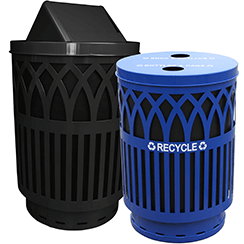 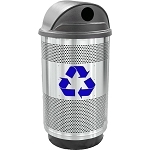 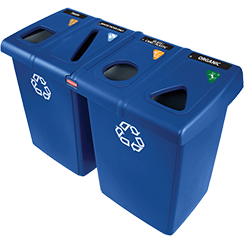 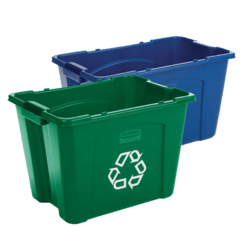 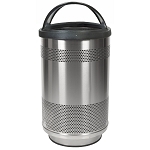 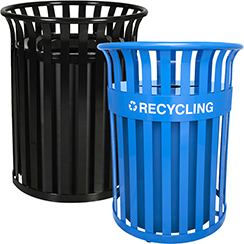 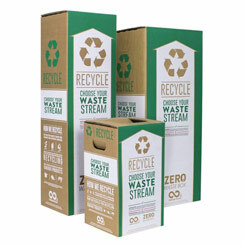 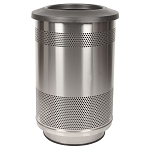 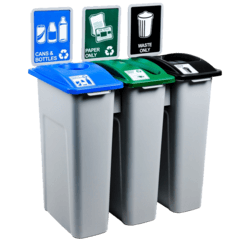 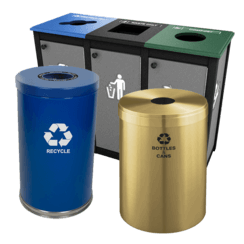 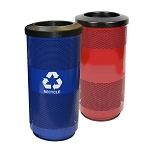 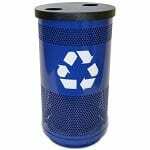 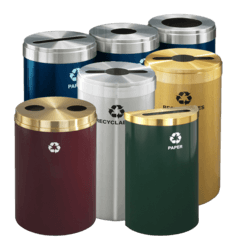 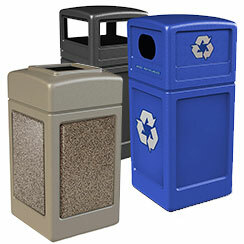 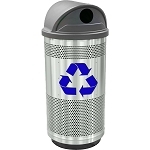 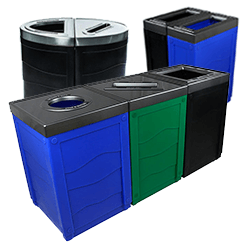 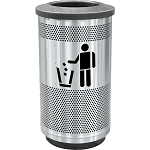 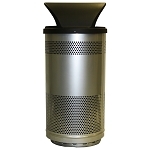 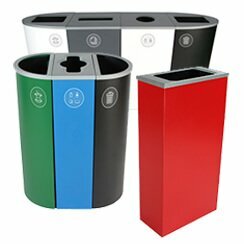 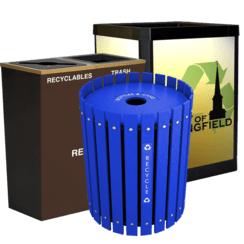 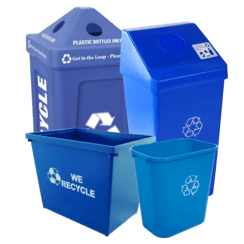 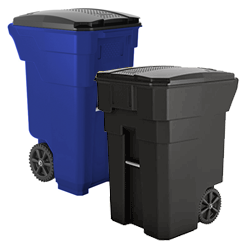 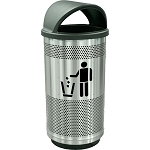 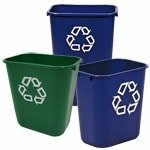 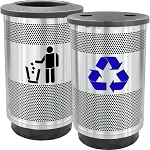 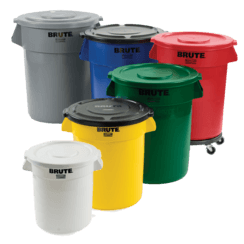 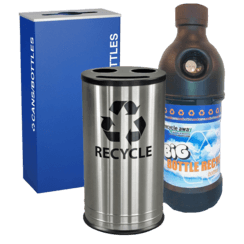 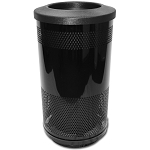 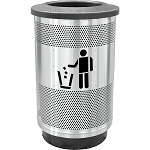 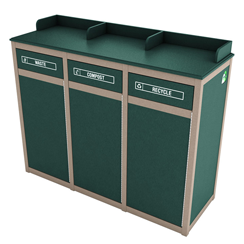 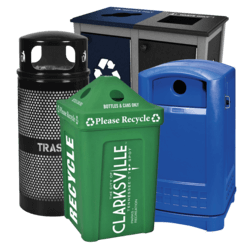 Made of a heavy-gage steel in 10, 20, 35 and 55 gallon sizes, Stadium recycling and waste receptacles can be customized with your corporate logo or with unique decals and labels. 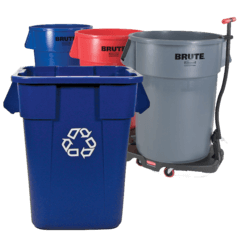 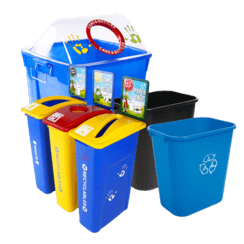 Recycle Away prides itself on outstanding customer service. 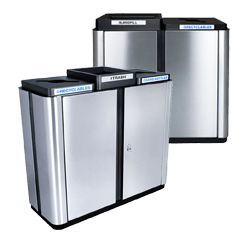 Call 1-800-664-5340 today and one of our agents will be happy to take your order or answer any of your questions!